The new site welcomes customers with modern design to give shoppers a clean and engaging experience all the way to checkout. Responsive layout for ideal views on all devices from desktop to smartphone. Large custom graphics to catch the shopper’s eye. Users can enjoy the enhanced ‘How To’ industry standard videos to get their best results. We could keep going, but why not check out FX Warehouse’s new ecommerce website for yourself. Head on over to fxwarehouse.com to see the new design and all the awesome features. 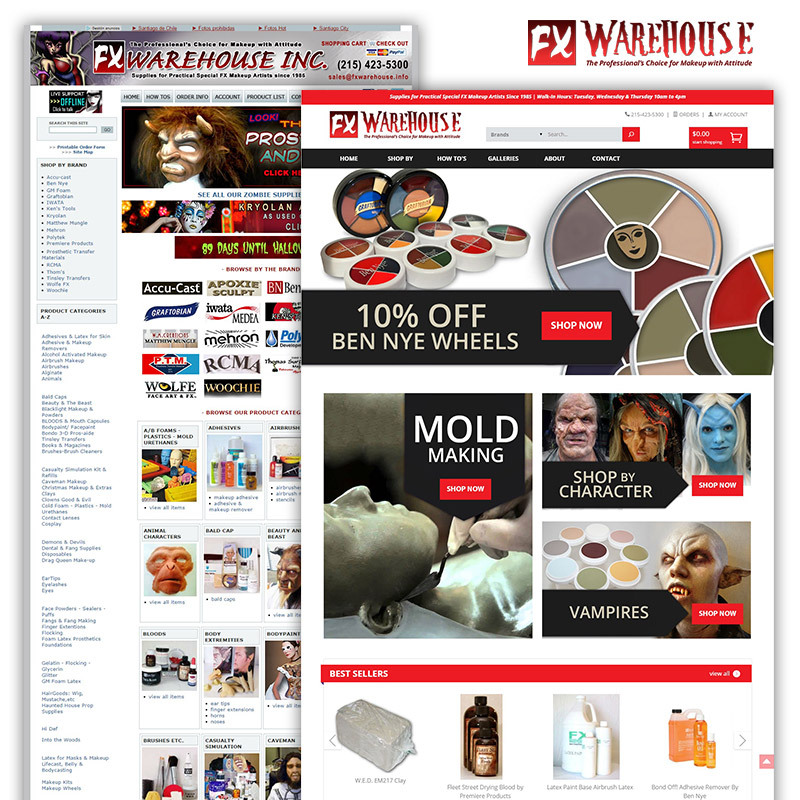 Whether professional or just starting out, FX Warehouse is your choice for Makeup and Special FX supplies!